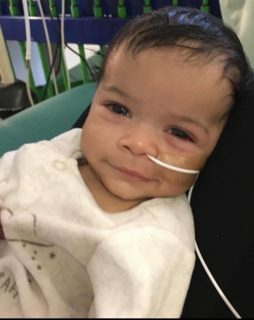 Tobias was diagnosed at just eight weeks old with Infantile Fibrosarcoma – a tumour so rare that only 50 children in the last 20 years in Europe have been diagnosed with it. His mum, Katherine, shares Tobias’ story. Tobias was born on 28th September 2016. He was 7lb 6oz and a bouncing, beautiful, healthy baby boy … or so we thought. In the first week after Tobias’ birth he put on a pound of weight. We were over the moon. I was breastfeeding trying to do my best for him and had been worried about it as friends had told it was tricky. I thought I’d really cracked it! A few weeks later when the health visitor came back, he hadn’t put on any further weight. I was in shock and full of hormones and cried and cried as I felt I’d let him down. I went to lactation consultants and breastfeeding groups but to no avail – still no weight gain. Everyone told me not to worry – it was a feeding issue; a tongue tie etc. By this time he was coming up to his eight week check. He had almost stopped feeding and in desperation we had tried bottle feeding but he refused the bottle as well. The GP took one look at him and said he was rather skinny. He didn’t want to hold his head up or track something in her hand. She mentioned a lump that she thought might be a hard poo as he was slim. I put it to the back of my mind. That night we took him to A&E as he had dry nappies and was barely feeding at all. I mentioned the lump and they said it wasn’t there and sent him back home after determining that he could wee. The lactation consultant recommended bottle feeding but he refused all bottles so we went back to the GP. She said she had been thinking about him all day and wanted us to go back to A&E regarding the lump. We got there and waited. People came to feel the lump. He had blood tests, a cannula – we were there all night. He was then sent for an ultrasound. I saw the mass and knew it was bad news. We were admitted to the ward and he was put on fluids. By this point he was asleep all the time. 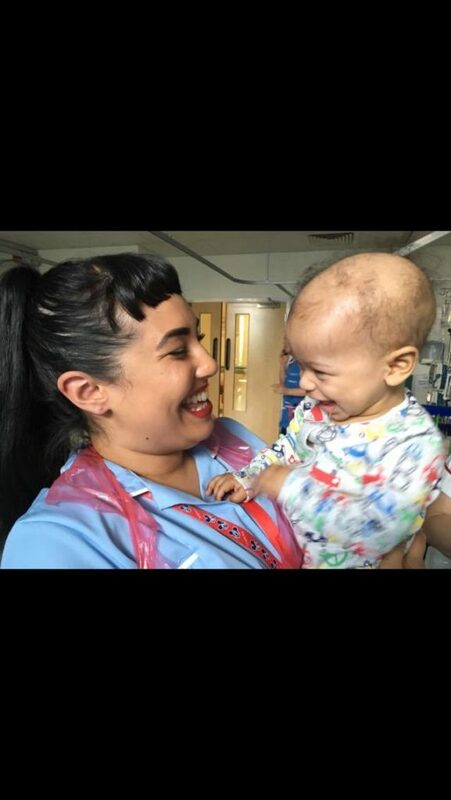 The next morning we were told he had cancer and we were transferred to Ward 84 – children’s oncology at The Royal Manchester Children’s Hospital. What happened next is a blur of tears. Tobias had a nasogastric (NG) tube placed. He was so tiny that they struggled to get blood out of him and he was covered in bruises. We took turns to hold him while he slept as the lump protruded out of his side and back. We thought he was going to die as the lump seemed to be growing by the second. He was diagnosed with a mesoblastic nephroma – a very rare type of kidney tumour. However, we were told it would be treatable by removing the kidney and the tumour together. The surgery was not as straight forward as hoped. The tumour was around the kidney with a difficult blood and nerve supply. We were told he may not be able to move his right leg again and he had lost his body weight in blood and was in ICU. After we were sent home, we were told that the biopsy revealed infantile fibrosarcoma – the same type of tumour but usually in limbs. Later that day we were then told that Tobias had a tumour on his spine that had been missed and would need chemotherapy. His chemo was meant to be weekly as an outpatient but he had so many temperatures and illnesses that we were barely out of hospital. During his second round of chemotherapy he suddenly became worse. Another ultrasound and CT scan revealed a new tumour near his liver. He would need another surgery and stronger chemo which would make him extremely ill. We were devastated. His surgery was a success but the chemo they chose for Tobias is extremely toxic. It’s rare to use it on such a young baby. It can cause damage to the heart, along with hallucinations, sickness, seizures – the list is endless. Before his first round I asked the consultant what his options would be if he were to grow new tumours during this chemo. I was told only radical surgery, organ removal or radiotherapy and these things would only be palliative for Tobias. There is a trial drug using immunotherapy being used in other countries but this unfortunately isn’t funded by the NHS. Thankfully Tobias has responded well to the chemo and is now in remission. He still doesn’t eat and is fully tube fed and doesn’t speak much either. The chance of Tobias relapsing is extremely high and so we continue to raise funds for the trial treatment should this ever need to become an option. Costs could extend into hundreds of thousands of pounds. I have to try to give Tobias a chance should the worst happen. Should we no longer need the funds, they will be donate to charities that research children’s cancer. Tobias has lived with cancer all his life. He never stops smiling and everyone who meets him, loves him. We have to live with the thought that we may lose him every day. 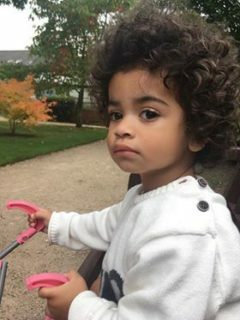 If you would like to donate to help fund lifesaving treatment for Tobias, just visit the family’s fundraising page.